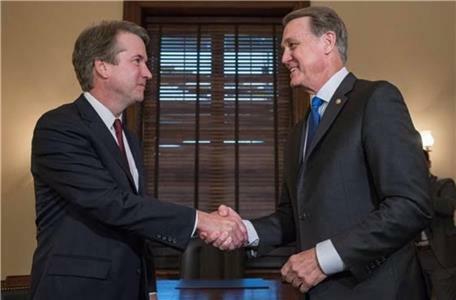 Senator Perdue Says Judge Kavanaugh "Exactly The Kind Of Justice We Need"
Senator David Perdue met with President Donald J. Trump’s nominee to the United States Supreme Court, Judge Brett Kavanaugh. He said, “After meeting with Judge Kavanaugh, I have no doubt that he is exactly the kind of justice we need on the United States Supreme Court: an independent jurist and ardent defender of the Constitution. We discussed his commitment to Constitution and lessons he has learned throughout his time on the Court of Appeals. This week, Senator Perdue published an op-ed in the Marietta Daily Journal urging the confirmation of Judge Brett Kavanaugh to fill the open seat on the United States Supreme Court.